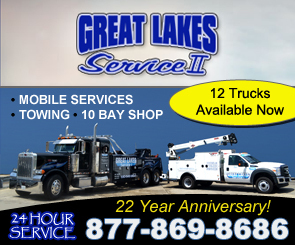 Heavy Duty Towing, Shop & 24 Hour Road Service! 22 Years as Chicago's Leader in Transportation Services. Offering Heavy Duty Towing and Recovery, Load Shifts, Bridge Recovery and Steel Coil Recovery. 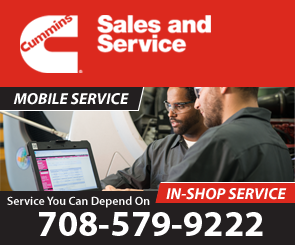 Our mobile service technicians are stationed in 10 locations throughout the Chicagoland area to provide all kinds of on site repairs and tire service. Our full service repair facility will get you back on the road quickly. We also offer fabrication, frame work, and painting in our body shop. Whatever the need, Great Lakes can help! Visit our website for a full list of services! Clutch and Drive Line Repair & More!